Nearly 19 million U.S. households spend more than half of their paychecks on housing costs, creating a burden that often requires families to make difficult choices between their housing, healthcare, education and transportation. 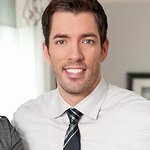 Habitat For Humanity is doing something about it, with the support of Habitat Humanitarians Drew and Jonathan Scott, as well as five major brand partners that will be raising awareness and funds for affordable housing through the third-annual Home is the Key campaign during the month of April. The campaign partners — At Home, Chico’s FAS, Inc. (including its brands Chico’s, White House Black Market and Soma), Nest (a Google brand), Nissan and O-Cedar — are offering financial support, employee volunteers, and their voices in support of affordable housing. The companies will engage their workforces and customers to back the Home is the Key campaign which supports Habitat’s work in all 50 states and in more than 70 countries around the world. 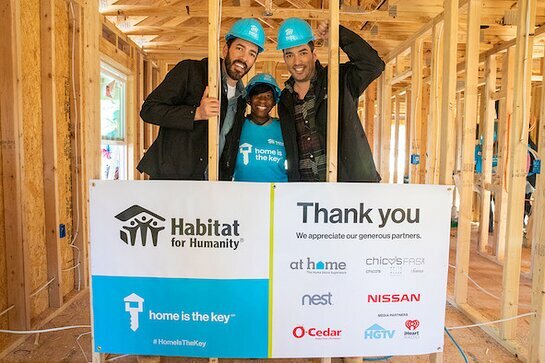 Marking the start of the month-long campaign, the Scott Brothers — of HGTV’s Property Brothers fame — joined volunteers from Habitat’s five campaign partners in Atlanta to help construct an affordable home alongside future homeowner Krushetta and her sons. The home will be completed over the course of April with help from volunteers of each of the companies. Nest, a Google brand: Nest partners with Habitat by providing energy-saving technology to Habitat homeowners. Habitat and Nest have a shared belief that the affordability of a home is based not just on purchase price, but on how much it costs to heat and cool over the years. Nest is making a $250,000 contribution through the Home is the Key campaign, building on their commitment to make thermostats available to every home Habitat builds in the U.S this year. The Home is the Key house being built in Atlanta will be EarthCents certified and will include Nest’s energy efficient technology.